Hearing loss is the most common sensory deficit in humans today. As per WHO estimates there are 360 million persons in the world with disabling hearing loss. Of these 32 million are children and most of these children are from South Asia, Asia Pacific and Sub Saharan Africa. In India, it is estimated that 2% of the children are born with hearing disability and most of them do not have access to quality health and education facilities. Recognizing the need to provide special educational facilities to the children with hearing impairment, School for the Hearing Impaired was founded by Ashray Akruti in 1996 in Hyderabad. What started with just five children and now caters to the educational needs of more than 300 children. So far more 150 hearing impaired children have been integrated into the normal schools, colleges and universities. 75 Hearing impaired children from outside Hyderabad avail residential facilities provided by Ashray Akruti. Skill Development Program for the Hearing Impaired Youth in Multimedia Computer Animation was another project that was started in 2010 by Ashray Akruti. The first batch of 15 students have been successfully placed with private companies after the completion of the course. Ashray has been following several unique techniques in imparting special education to the hearing impaired children, the main feature being that the children are encouraged to speak. The focus is to enhance the residual hearing power of the children thus encouraging the children to speak. The institution encourages participation of the mothers in effective development of their children. All the staff members are well equipped to train hearing impaired children. Children are given special training in auditory and verbal skills and also coached for SSC Board examinations of Government of Andhra Pradesh State. The institution steadfastly maintains a low teacher-student ratio, which enables a special child to get the individual attention. 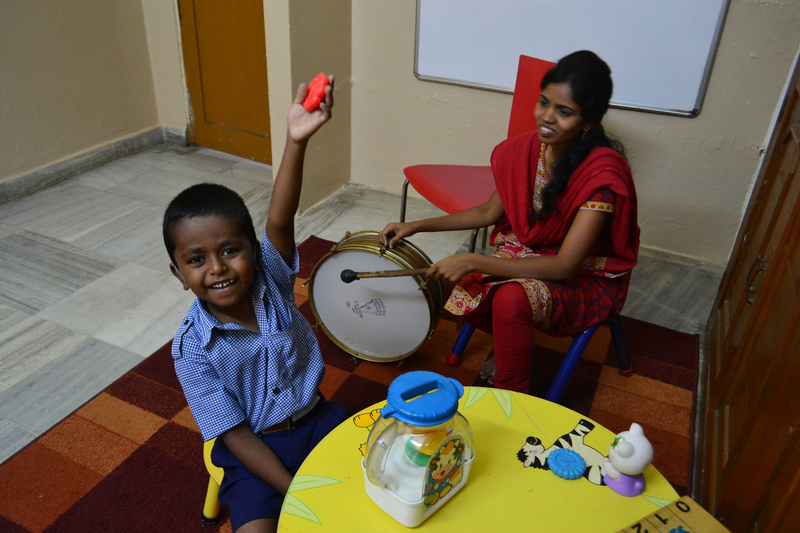 Eight year old Rajesh’s parents were dismayed when he was diagnosed with hearing impairment. Rajesh hails from Hyderabad. His father works as an electrician while his mother is a homemaker. In spite of their challenges Rajesh’s parents wanted to provide him with good education. They approached Ashray Akruti and after a medical examination, he was enrolled at the school. At Ashray Akruti, Rajesh has been provided with one hearing aid and is undergoing speech therapy and auditory training. It’s been four years since he joined Ashray, Rajesh is now able to listen; lip-read and speak in simple sentences. He is also helped to cope with academics by the special educators. Today, Rajesh’s parents are extremely happy to see his progress and hope that Rajesh will lead a near normal life in future and extremely thankful to the Ashray for providing a supportive environment to their child. To support many others like Rajesh who are receiving speech therapy, please visit the donation options page here. B. Swathi hails from a poor family in Nalgonda.Her father is a farmer and mother is a homemaker. Initially the family was shattered to learn that their daughter is deaf but soon came to accept this fact of life. Despite their challenges the parents wished to provide her good education to their daughter. It was then they learnt about Ashray Akruti and decided to enroll her in the school. She joined the school in the year 2001. A bright girl she responded well to the teaching methodology followed at Ashray Akruti. With the help of the Special Educators soon she was making good progress, learning to communicate through speech and progressing well in academics. 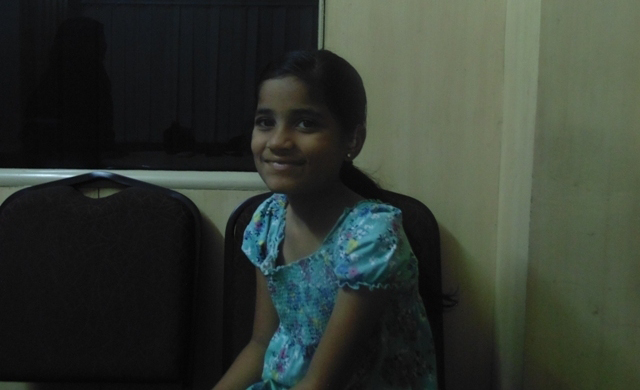 She passed the 12th Standard examinations with good scores. She recently finished her intermediate and is now pursuing her Bachelor’s course in Commerce.